TerraPop recently launched TerraScope, a map-based portal for exploring the data in the TerraPop collection. The TerraPop collection includes census data from over 160 countries around the world, as well as environmental data describing land cover, land use, and climate. With such a broad range of data available, selecting a study area for which data are available to study a particular question or, conversely, determining the types of research questions that can be studied within an area of interest can be challenging. With information and ideas gained from TerraScope about where and when interesting data are available, users can go to the TerraPop Extract Builder and readily select and integrate the data to conduct more in-depth analyses. For example, say you were interested in investigating the relationship between rice farming and child employment in Southeast Asia. 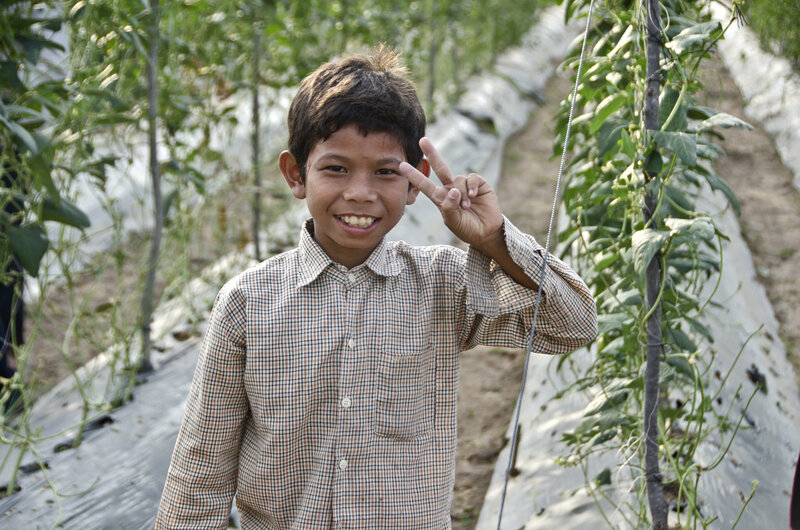 You could overlay the availability of census data on the employment rate of children on top of a preview of agricultural land use data on the harvested area of rice. 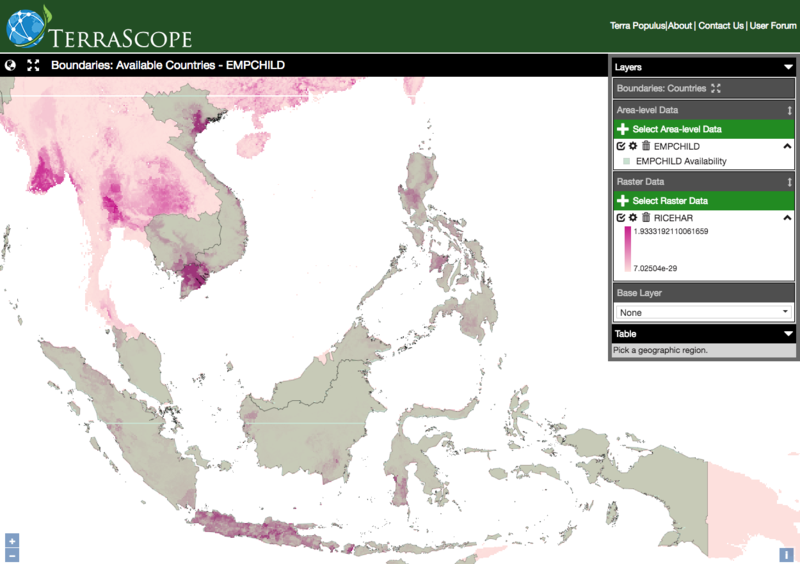 In this preview, you can see that Vietnam, Cambodia, the Philippines, and Indonesia have data available for child employment and potentially interesting geographic variation in rice farming. Exploring these countries individually, you find that Vietnam census data are available at the province level, which will allow you to differentiate the intensive rice farming regions. Furthermore, you notice a potentially interesting contrast in child employment in the rice growing regions in the north and the south of the country. 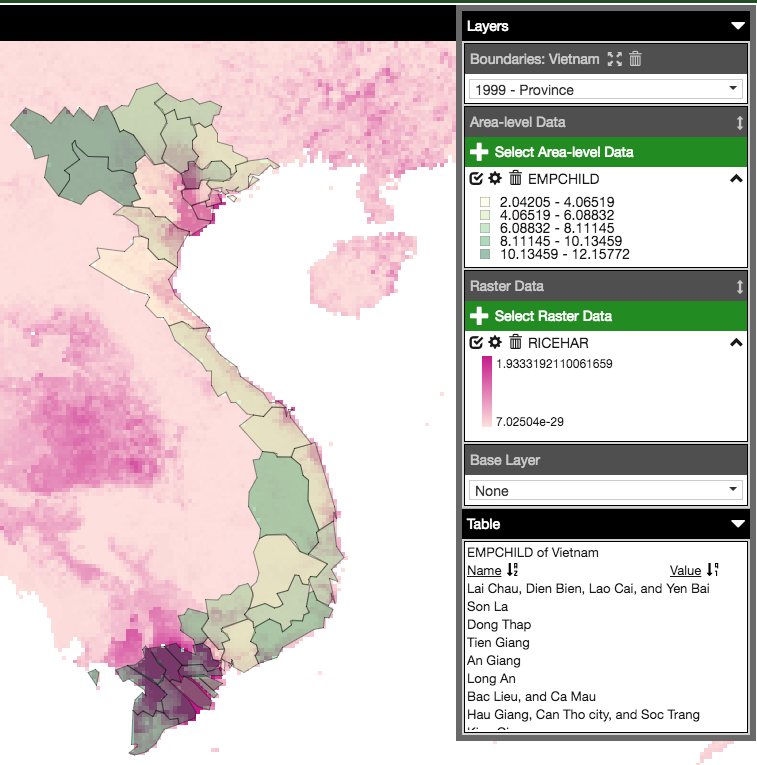 You can now go to the TerraPop Extract Builder and create a customized dataset for Vietnam incorporating the data on child employment, rice farming, and other variables that may help explain their relationship and continue the in-depth analysis in a statistical or GIS software package.